Skip January 31, 2017 FEATURE STORY, Slide No Comments on Sharks kill only 12 people per year, so let’s slaughter them? People kill 11,417 sharks per hour. Now, do you think that’s right? Kill, boast and throw them away. 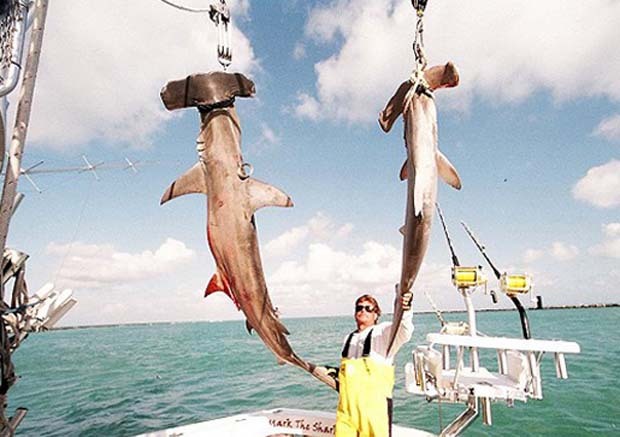 Mark Quartiano, Miami’s own Mar the Shark, has mindlessly slaughtered 40,000 sharks – and done so just for the boast of it. Capt. Mark Quartiano can be reached at 305-759-5297 / toll-free at 877-365-5550. Humans kill an astonishing number of sharks every year. Various species are the victims of culling in attempts to make beaches safer, by-catch by commercial fishing vessels, trophy catches and the practice of finning for food.